OPEC revised up on Tuesday its 2018 forecast for total non-OPEC supply growth, while it left unchanged its projection for world oil demand growth at 1.65 million bpd this year. In its closely watched Monthly Oil Market Report published today, OPEC revised up its non-OPEC supply growth estimate by 130,000 bpd compared to last month’s report, and now expects non-OPEC supply growth of 1.86 million bpd in 2018 compared to 2017. “World oil demand in 2018 is forecast to grow by 1.65 mb/d, broadly unchanged from the previous month’s assessment, to stand at 98.85 mb/d,” OPEC said. Total OECD commercial oil stocks—OPEC’s current gauge of the oil market rebalancing—were 26 million barrels below the latest five-year average, as per preliminary data for April. 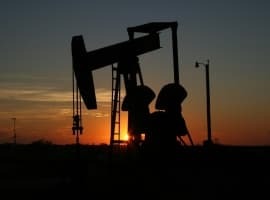 “While oil demand in the US, China and India shows some upside potential, downside risks might limit this potential going forward, including a slowdown in the pace of economic growth in some major economies, stronger impact of policy reform with regard to retail prices, and further substitution toward natural gas,” according to OPEC. Saudi Arabia, the biggest producer, raised its production by 85,500 bpd to 9.987 million bpd, according to OPEC’s secondary sources. The Kingdom self-reported a production increase of 161,400 bpd to 10.030 million bpd, just below its ceiling of 10.058 million bpd. 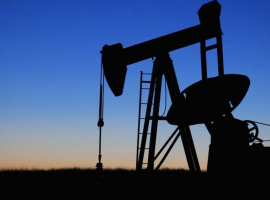 According to secondary sources, the biggest drop in May was registered in Nigeria, whose production fell by 53,500 bpd to 1.711 million bpd, as pipeline outages hampered production last month. Venezuela was a close second in terms of a production decline in May, with output plummeting again, by 42,500 bpd to below 1.4 million bpd—1.392 million bpd, according to secondary sources. This is well played by OPEC. Trump is demanding more OPEC oil. OPEC is saying you guys are producing enough to outpace demand, relax.